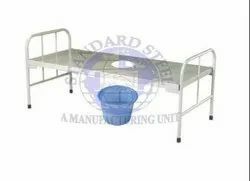 Our range of products include adjustable cholera bed and folding cholera bed. Leveraging on our well-equipped production unit, we are manufacturing a wide range of Adjustable Cholera Beds. Available for children as well as adults, the beds are extremely comfortable as these are designed with utmost care. Robust and durable, the beds are renowned for their quick and easy assembly. 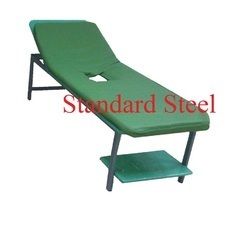 With our expertise in this domain, we are providing Folding Cholera Beds, whose top is covered with mild steel sheet. The frame of the beds is also constructed using mild steel. Sturdy and durable, the beds are available in standard as well as customised forms. We conduct stringent tests on our range in order to deliver flawless beds to the clients. Dimensions: 200 (L) x 65 (W) x 45 (H) cm. Looking for Cholera Bed ?